Zone Control Systems | Robbins Heating & Air Conditioning, Inc.
What is Zone Control? Do I Need it? One thing that we talk about a lot is heating efficiency and why it matters. The more efficient your heater is the less energy it wastes. So, when your heater holds an efficiency rating, or AFUE, or 95%, it means that 95% of the energy being used becomes heat for your home. This is super important, as an inefficient heater can lead to costly repairs and sky-high utility bills. There are a number of things that you can do to improve heating efficiency, one of which is investing in zone control. These systems give you ultimate control of your heating system, allowing you to choose exactly which rooms will be heated. There are numerous advantages to installing a zone control system aside, so we have outlined them for you below. Posted in Heating | Comments Off on What is Zone Control? Do I Need it? How Can Zone Control Improve Your Air Conditioning? Air conditioning systems can occupy a lot of your energy spending during the hotter months. And yet, your air conditioner may not even offer all of the performance features you desire. 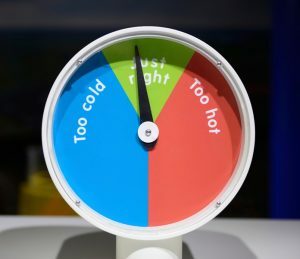 If your family members seem to disagree on the temperature in the home, your air conditioner simply isn’t giving you all you need. A large home shouldn’t have to remain at one set temperature. The solution? It’s not a new air conditioner. It’s a new zone control system. Posted in Air Conditioning | Comments Off on How Can Zone Control Improve Your Air Conditioning?